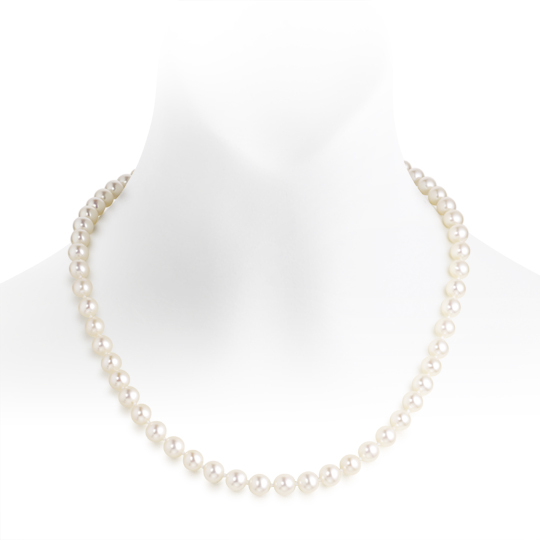 With there being so many varieties and types of freshwater pearls available today, if you are thinking of choosing a freshwater pearl necklace, there can be a few subtleties in choosing the right one. To help you think through the options, here are five types of freshwater pearl necklace that might match your style or that of a loved one you wish to surprise with a gift. 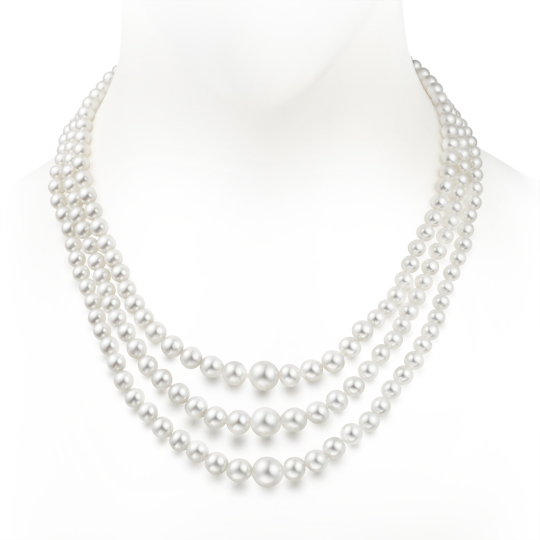 The princess length white pearl necklace is a truly classic necklace. 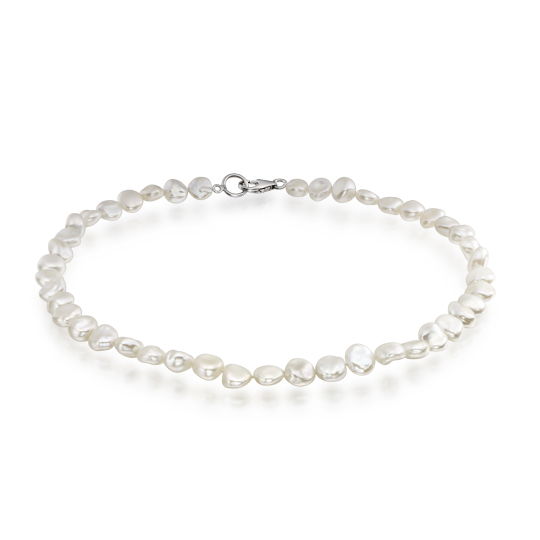 Made with round to near round freshwater pearls, typically ranging in size from 6.5 to 8.5 mm in diameter, this necklace will match nearly any style or colour. Beautifully versatile, it can be worn casually with a pair of jeans or dressed up with a glitzy evening gown. When choosing this jewellery box essential, look for a high lustre pearl, as the essence of this necklace lies in the reflective beauty of its pearls. Freshwater pearls come in a variety of natural pastel colours - pink, lavender and orangey apricot. These soft colours combine with the shining nacre of the pearl to create subtle and elegant pearl necklaces. A multicolour pearl necklace is feminine, easy to wear and will flatter any skin tone or light coloured outfit. When choosing a colourful freshwater pearl necklace, our advice would be to avoid dyed or treated pearls as overtly bright or dark colours will have a less natural look, may fade gradually over time and will lose their feminine beauty. Alongside the round pearl, freshwater pearls may have more creative irregular shapes. 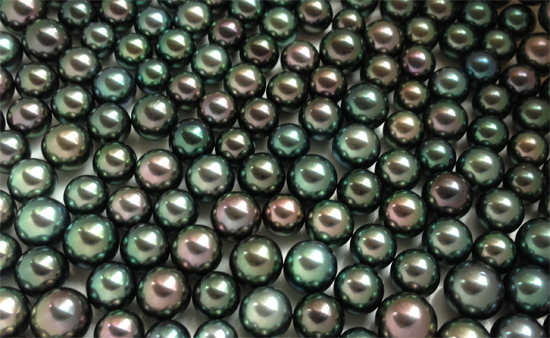 Keshi pearls, as they are usually called, are formed as a result of pearl culturing techniques. At times overlooked by women, today quality keshi pearls with high lustre and clean surfaces are sought after by designers to make stunning pearl jewellery. A keshi pearl necklace can add a contemporary twist to the classic pearl necklace and can be versatile and worn every day. 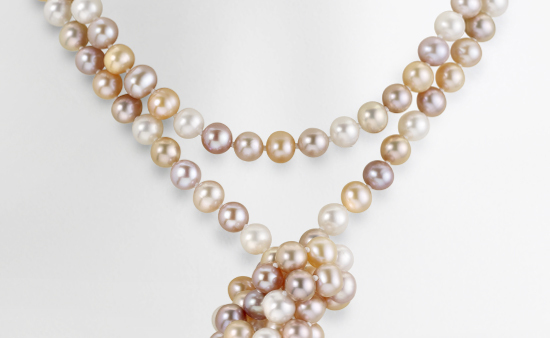 Extending the length of a freshwater pearl necklace evokes a different era of fashion. The sautoir, or rope necklace, is 95 cm in length or more and can be strung with round or near round pearls, but also button or oval shaped freshwater pearls. 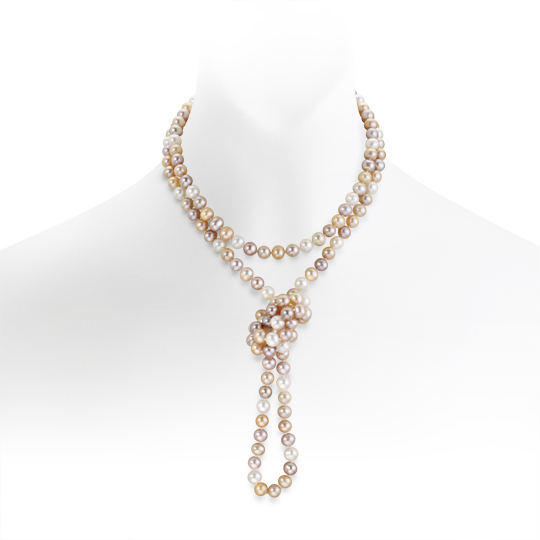 For a look reminiscent of the roaring 1920s, the freshwater pearl sautoir is a necklace that can be worn fluidly down to the waist, twisted up to three times around the neckline in multiple strands or tied in a knot at the front. 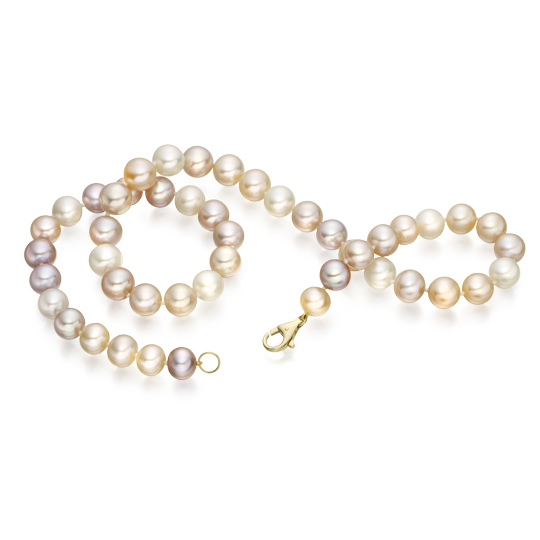 Smaller to larger freshwater pearls that are graduated in size from back to the front of the necklace can create a particularly elegant and refined necklace. 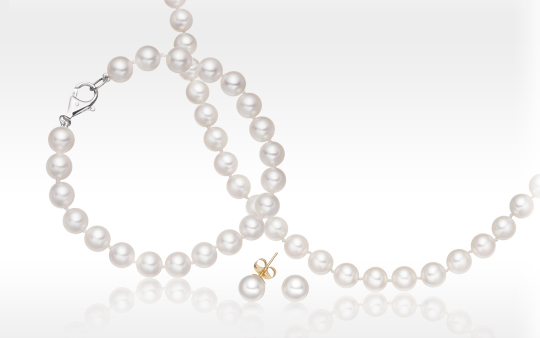 The pearls should be round to near round in shape and carefully matched, usually from 5mm to 8mm in diameter. For a more glamorous style, these graduated pearl necklaces may be strung together in multiple strands using a special type of clasp. With this type of necklace, the matching of pearl sizes is important for its finesse, so look for a well matched and steady graduation.